Gerhard S. (“Sol”) Mundinger, M.D., is a board-certified plastic surgeon with additional training in pediatric and adult craniofacial surgery. Dr. Sol Mundinger is a member of the Cleft and Craniofacial Team at Children’s Hospital of New Orleans. He is an Assistant Professor of Plastic and Reconstructive Surgery at Louisiana State University and at Children’s Hospital in New Orleans, Louisiana. He is also an Attending Surgeon at University Medical Center and Touro Hospital in New Orleans. A native of Madison, Mississippi, Dr. Mundinger graduated from St. Andrew’s High School in Ridgeland, Mississippi. He completed three undergraduate degrees at the University of Michigan in Ann Arbor before earning his Medical Doctorate at Johns Hopkins University School of Medicine in Baltimore, Maryland. During medical school, he completed the year-long Clinical Research Training Program at the National Institutes of Health in Bethesda, Maryland. Dr. Mundinger trained in the Johns Hopkins Hospital / University of Maryland / Shock Trauma integrated plastic surgery residency program with pioneering craniofacial surgeon Dr. Paul Manson. In further pursuit of his research interests during residency, he completed two years of clinical and basic science research training with craniofacial microsurgeon Dr. Eduardo Rodriguez, focusing on face and hand transplantation (composite tissue allotransplantation), as well as clinical outcomes in pediatric and adult craniofacial trauma. During this time he was co-investigator on grants awarded by the Office of Naval Research and principal investigator on a Plastic Surgery Educational Foundation Fellowship. 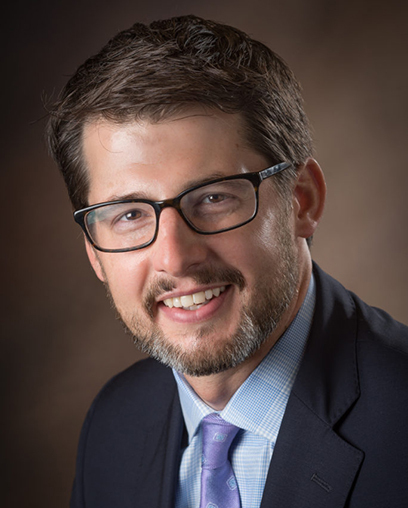 Seeking further expertise in craniofacial surgery, Dr. Mundinger completed a comprehensive pediatric and adult craniofacial surgery fellowship with pioneering surgeons Drs. Joseph Gruss and Richard Hopper at Seattle Children’s Hospital / Harborview Medical Center/ University of Washington Medical Center in Seattle, Washington. During this fellowship, he not only augmented prior surgical training in cleft lip, cleft palate, orthognathic, craniosynostosis, reconstructive microsurgery, facial reanimation, and craniofacial trauma, but also learned visionary distraction techniques for correction of airway constriction and mid-face deformities in syndromic craniofacial conditions, including Treacher Collins, Apert, Cruzon, Sathre-Chotzen, and Pfieffer, among others. Dr Sol Mundinger is licensed in the states of Louisiana and Washington. His clinical practice focuses on all aspects of pediatric and adult craniofacial surgery. An author of over 60 peer-reviewed original publications and 9 book chapters, he has been an invited speaker at multiple national and international conferences focusing on plastic surgery, craniofacial surgery, and composite tissue allotransplantation. Dr. Mundinger and his wife, Shannon, live in New Orleans, Louisiana with their two children. "As a father of two, I understand how challenging and stressful weighing surgical options can be, how we each come to decisions differently, and how we all want what is best for our children."